Chinatown YMCA Chinese New Year: Year of the Pig 5K/10K Run/Walk. Due to a coach conflict, the March 7 track workout is cancelled. Run eastbound up Kennedy Drive to intersection prior to McLaren Lodge (Kezar Drive/Second Barricade). Turnaround and return the same way back to finish. Run west along Crissy Field/Golden Gate Promenade. Stay along path into Fort Point National Historic Site. Turnaround at orange cone and return same way to finish. 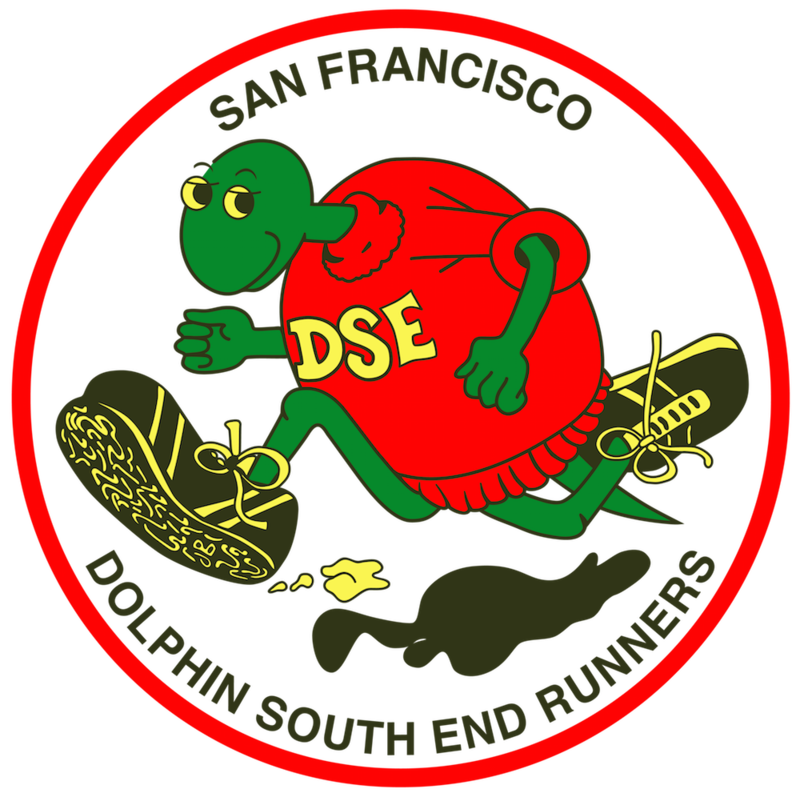 DSE Members, please join us at Sports Basement Presidio for our Spring Membership Meeting/New Member Social on Sunday, March 17, 10:30am-12noon, following the St. Patrick’s Day 5K and Kids Run. Breakfast refreshments will be served. All ages welcome. Special race timing and rules – see article in the March newsletter. Run east on Kennedy drive towards Stanyan St., turn around at the barricade before Kezar Drive, and return the same way back to finish. 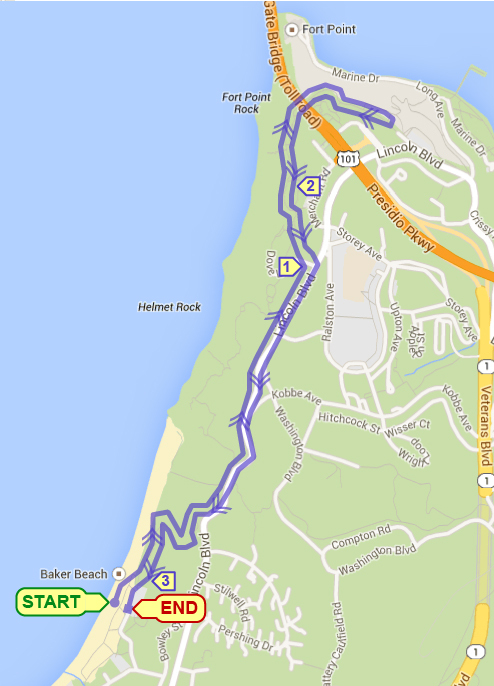 COURSE DESCRIPTION: Upon exiting lower Baker Beach parking lot, immediately turn left on Battery Chamberlin Rd and run up to and through upper parking lot. Exit through gate at far end and run east into short Battery section before completing .6 mile uphill climb. Run left (inside guard rail) along Lincoln Way. Just beyond Langdon Court (Street), take the left fork gravel trail and run the entire “new trail” section with wooden bridge. Do not exit onto asphalt pedestrian/bike lane leading to GG Bridge. Instead, turn around at end of trail and return the same way to finish. Additional Parking is available in the upper parking lot off Battery Chamberlin Rd. Baby Strollers are not permitted for this race.